The Formula 1® stars at Buddha-Bar again! 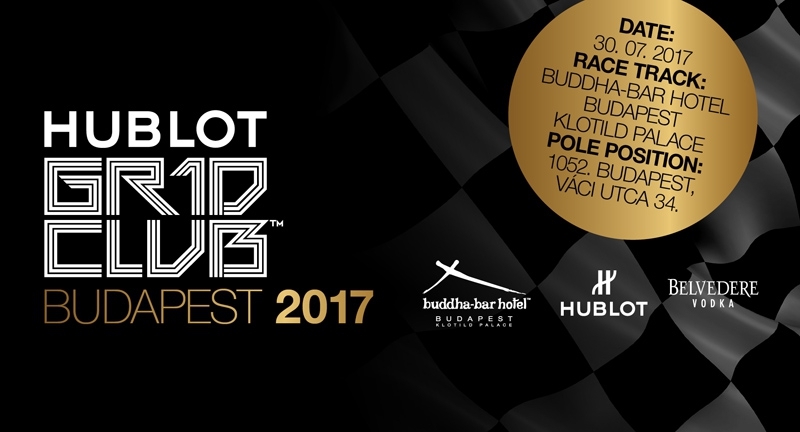 For the 5th year in a row, the Buddha-Bar Hotel Budapest Klotild Palace will be hosting one of the most prestigious and exclusive events, THE HUBLOT GR1D CLUB™ BUDAPEST 2017 – The Race After Party. As it has become a tradition in recent years, the Buddha-Bar Hotel Budapest Klotild Palace will proudly host one of the highest quality and most prestigious after party sporting events, THE HUBLOT GR1D CLUB™ BUDAPEST 2017 – The Race After Party, for the 5thyear in a row. At the hottest event of the summer, pulsing beats will be provided by an international DJ line-up, and you are invited to party along with Hungarian and International celebrities and the stars of the F1® world, who chose this party in past years. Why would this year be any different?